Every gambler is unique and so needs a recovery program tailored specifically to him or her. What works for one gambler won’t necessarily work for you. The biggest step in treatment is realizing you have a problem with gambling. It takes tremendous strength and courage to own up to this, especially if you have lost a lot of money and strained or broken relationships along the way. Don’t despair, and don’t try to go it alone. Many others have been in your shoes and have been able to break the habit. Overcoming a gambling addiction or problem is never easy. But recovery is possible if you stick with treatment and seek support. Gamblers Anonymous is a twelve-step recovery program patterned after Alcoholics Anonymous. A key part of a 12-step program is choosing a sponsor. A sponsor is a former gambler who has time and experience remaining free from addiction, and can often provide invaluable guidance and support. Cognitive-behavioural therapy for problem gambling focuses on changing unhealthy gambling behaviours and thoughts, such as rationalizations and false beliefs. It also teaches problem gamblers how to fight gambling urges, deal with uncomfortable emotions rather than escape through gambling, and solve financial, work, and relationship problems caused by the addiction. The goal of treatment is to “rewire” the addicted brain by thinking about gambling in a new way. A variation of cognitive behavioural therapy, called the Four Steps Program, has been used in treatment of compulsive gambling as well. The goal is to change your thoughts and beliefs about gambling in four steps; re-label, reattribute, refocus, and revalue. More comprehensive information about cognitive behavioural therapy and applying it to your situation is found below. Seeing a therapist does not mean you are weak or can’t handle your problems. Therapy is for people who are smart enough to realize they need help. It can give you tools and support for reframing your thoughts that will last a lifetime. "I've almost lost my home, my car, all of my savings are gone and I can't seem to stop myself." "The more I won, the deeper my happy, little gambling hobby sank into a dark and dangerous compulsion. I literally couldn’t stay away." "I stole from friends or borrowed money with concocted stories to hide my gambling losses, I had become a pretty despicable person." "My life is now fulfilled and in retrospect I can see how miserable and unhappy I really was and I don’t now know where I found the time or interest to gamble on pokies." "I used every dollar I could spare (and money that I could not spare) to put into the money-hungry pokie machines." "I stopped going out with my friends, didn't take care of myself, and literally became apathetic about anyone who are not interested in gambling." "When my mum gambles and looses everything, I lose everything too." "Loneliness and desperation are bad reasons to gamble but it happens to the best of us." "The glitz of the lights, the sounds of the slots, the hope in the air. It all made me feel so alive." "Not only was gambling destroying my family and me financially, it was more importantly destroying my soul." "I was always a casual gambler but now I have become a loner and my entire days are consumed with it." "I began by playing for an hour or two every so often. Eventually I was playing from eleven every day." "I am an addict. I am a liar; I am a cheat; I am a thief. I am all of these things when I am in addiction." "I chased that big win every day of my life, figuring that I can do this again." "It’s a rip-off. But I can’t complain because I made the mistake of getting involved in it." "My intention was never to steal money. I had a very serious problem. I was a desperate man trying to cover up my addiction. I know what I did was wrong." "The internet is making all the difference now. It's still gambling and still potentially destructive but it is hidden away." "Everyone believes the harm is how much money is spent, and that what’s driving the compulsive gamblers is a desire to make money. But the idea of winning money falls away when you get to the point of addiction." "Learn from the mistake you've made and understand why you did it, and then put the lessons you've learnt into action"
"I saw my father for who he was, instead of the man I had created in my mind"
"That bubble burst when I heard him turn to a friend and say, “Gimme $600.” My mouth fell open at the request and then my eyes went wide as the request was granted. So much for responsible." "I couldn’t even imagine the state of my family’s finances being contingent upon whether Dragon Tail come in first in the fifth at Aqueduct"
"I have messed up yet again. I have lied, stolen, borrowed and broken the last bit of trust you all may have had for me"
"I stole my girlfriend's (at the time) and sisters bank cards and emptied their accounts before later getting my friends details for money that I soon gambled away. At that moment I knew I had reached rock bottom of my life." "Even if I win, I will keep gambling until it's all gone again and without any logic, I will use all our money available." "When I stopped drinking in 1992, after years of alcohol abuse, I almost immediately began gambling. It very quickly became a problem which I could not control. I wanted to stop, tried to stop, but couldn’t." "I believe I began playing the machines for fun and excitement. At first I saw no harm in it. The truth was though; I was really trying to fulfil instantly something that was missing in my life." "I have not gambled since my first visit with my new counsellor, but I don’t want to make the mistake I made the last time and stop the counselling too early." "My gambling has had an impact on my marriage as there have been frequent arguments over the years about my gambling, about the debts and the uncertainty of our financial situation." "One night after not being able to sleep from sheer guilt and fear, I woke my fiancé up early in the morning and told him everything. My fiancé was stunned and shocked by this revelation. He was so disappointed and that made me really want to give up gambl"
"If it wasn't for her gambling counsellor I don't think I would have made it this far." "I was out of control and not seeing things too clearly and I hate to say I didn't care." "I had it all, wonderful husband, son, family, friends, home and career. Then, eighteen years later I found myself divorced and starting again." "I understand now that the reason I was playing the machines was to supplement the lack of excitement in my life." Don't be put off by this. You can do it on your own but the support of others makes it easier, especially if you've got serious problems caused by gambling. This person might be a spouse, parent, friend or counsellor. About one in five problem gamblers can give it up fairly easily. Most find that for quite a time they can't stop if they have cash in their pocket and the club, TAB or casino is open. Many who stop gambling take a lot of trouble to get their cash flow under control. Problem gamblers may spend 10-20 hours or more a week gambling. They also spend a lot of time thinking and worrying about their gambling. When you give up gambling you need to fill the gap it leaves. There are lots of ways to do this such as getting to know family and friends if you have neglected them while gambling or taking another part-time job. There is no doubt that if you have help from your spouse and close friends you are more likely to succeed. Make an effort to explain your problem to your friends. Most people can understand the problem of getting addicted. Once you can admit that your problem may have hurt them, and you can tell them so, then they will be rooting for you. Giving up when you've spent hours each week gambling can make you feel tense and irritable. This can feel even worse when you still go into the places where you gambled, like to the club if you played the pokies, or pass a TAB or the casino on your way to work. Become a member of gamblers Anonymous group in your locality and get support from fellow gamblers in the group to tackle addiction. The support groups with people who are gamblers will help you deal with everyday temptations and provide invaluable insights in controlling the urge to gamble. Gamblers generally forget to get the real picture of things and are more fascinated about the speculation of the outcome. Make a record of the games you have played, stakes won or lost and an absolute idea about the financial position. This will help you to observe the impact of your gambling activity. If you find it difficult to give up gambling, seek the help of a professional counsellor, who specializes in gambling addiction. The counsellor near your area with adequate experience and qualification would guide you through recovery from addiction. Make a strong decision to abstain from gambling and indulge in other activities to keep you engaged. Overcome gambling addiction by sticking to abstinence and not deviating from it. Gambling obsession can be cured only when people recognize the addiction and admit it. Admitting the problem and enrolling in a program to recover from the addiction are vital. When your family or friends inform you about your compulsive attitude towards gambling, acknowledge it after evaluating your behaviour objectively. If you play gambling online, install internet filters that block these sites. When the sites are blocked, the urge to play subsides. 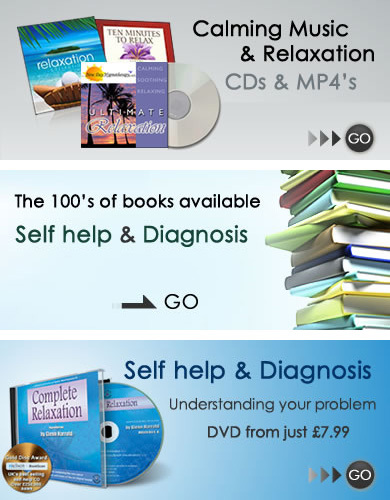 Some self help books written by renowned authors can help you to learn more about controlling and curing gambling obsession. For overcoming gambling addiction, you can use the tips and guidelines mentioned in these books. Entrust the duty of handling your finances to someone else in your family. Allow them to pay bills, buy essential household stuff. Stay away from using money for a period of two to three months and check if you can avoid gambling altogether. Always remember that you are buying entertainment. Always be prepared to lose - if you win, know that it will happen by chance. Spend more time with family or friends. Take up a new hobby or interest or revisit one that you enjoyed before gambling took over. Write down your progress in a journal or diary. Venting about your day really helps you stay focused on your goal of quitting gambling. Don't keep telling your self "I will quit tomorrow." The sooner you start, the better. Do as much reading as you can on topics relating to a gambling problem. When you do this, you will be more educated about what your addiction entails and you will realize that there are solutions. Do a search on the internet and you will gain a better understanding of what this affliction is and the powerful impact it can have on your life. As you have decided to stop gambling, you must not gamble on anything, including lottery or raffle tickets. Stay away from all aspects of gambling because you can be easily tempted back into your primary addiction. For example, if you are a slots addict, and are out of control in his area, do not place bets on sports. Stay away from all forms of gambling. Change your lifestyle, and be ready to change your circle of friends, those who encourages you to gamble. Discover the root cause that led you to gambling. By doing this, you can prevent this causes from invading your life. If you are addicted, it doesn’t mean that you are hopeless, you can always find means on how you can fight this dilemma that is making your personality and your family rot. Everybody deserves a second chance. You have to use these chances to make your life even better than before. Don’t run over your problems, because it will hunt you down wherever you go. As a friend or relative of a problem gambler, research all you can about gambling addictions – symptoms, signs, consequences, the lot. Learn to say “no” to the gambler. No you won’t accompany them to the races. No you won’t lend them money. As they begin to realise their friends and family no longer condone their actions they may start to address the problem head-on. The problem won’t get fixed overnight but recognise any progress and successes that the problem gambler makes. Learn to identify their triggers and help them suppress urges to gamble when these triggers come up. As a loved one, this is not your fault – and besides, this is not the time to be blaming anybody. Often the blame will arise as a result of the problem gambler trying to justify their habit by shifting responsibility from his or her own shoulders, and should be ignored. This is not the time for moral superiority and ivory towers. Showing the gambler that their problem is damaging themselves and you is important, but it is also important that they don’t leave the room feeling like scum, or resenting you for the way you have spoken to them in such a way that they’ll just ignore you. The problem gambler may be your best friend. You may have known each other since the day you were born. They probably fully intend to pay you back but that’s literally down to chance, and particularly in industrial gambling the odds will be stacked against them (and you). The gambler has a problem and you pretending they don’t will help neither them nor you. Make sure everybody who should be, is aware of the situation, and that everyone is being honest with each other. An addict, gamblers included, can be a devious, cunning beast, and they will manipulate you and try to exert control over you in order to fulfil their need for a hit of gambling. Make sure you know what they’re doing and why, and always keep in mind how each action would affect their addiction. As a “family disease”, addiction shares many characteristics with a tornado – it affects not only the person at the centre of it all but also everybody they are close to. Talk to a debt counselor about your gambling debts to relieve financial pressure and find out how to solve financial problems caused by your compulsive gambling problem. This is important, because the financial stress that you have from gambling addiction debts can actually drive you back to gambling if not addressed. Reward yourself for not gambling. Go shopping for that special thing you always wanted, you should have money for it now since you are no longer losing your money gambling. If you are depressed, anxious, or perhaps even suicidal because of gambling, you must seek out professional counseling immediately. 24 hour gambling hotlines and suicide hotlines are available for you if you are in a gambling crisis. When people lie about gambling and debts, they may sometimes try to gamble their way out of debt so they won't have to ‘come clean'. This usually leads them further in to debt. Coming clean about gambling with a trusted person can relieve pressure and provide the space to prepare a more thoughtful plan for recovery. Lying is a hard habit to break. If it happens with your support person, it stops them being able to help you because they won't trust what you say. You and your helper need to talk about this and plan out how to cope. If problems happen in other parts of your life, don't stick your head in the sand. Do what you've done about gambling. Look your problem in the eye and cope with it. Good problem solving has the following steps: - Recognise there is a problem and look closely at it. - Brainstorm all the ways you could deal with the problem. Write out a list and put down even the silly or impossible ideas. - Decide on the best solution and try it out. - Check to see if it works. If it doesn't, start again. Problem gamblers can kick the habit. However, you must be fair to yourself. Problem gambling is like an addiction. It is really hard to stop or keep it under control. You can often predict when problem gambling will reappear. You are more likely to lose control when you have bad times in other parts of your life that make you feel sad, anxious, angry or depressed. When you feel this way, it's challenging to stick to your plans, as you may feel an urge to borrow some money and go back to the old habit. Keep in mind the benefits of stopping gambling, as this will help you to stay the course. Some of the main advantages to keep in mind are: you will save more money, get out of debt and spend more time with your family. Remind yourself that when you completely stop gambling, these problems will start to resolve. Stop being in denial, face the facts about your addiction and the harm it has caused you. Acknowledging these problems is important – you will do your best to stop gambling and eliminate these problems. Gambling Addict is £100,000 in Debt | The Jeremy Kyle..
Gambling addiction help, counselling and support Cold..
Self-Admitted Gambler Describes Turning 'Demonic' As ..
Gambling Addict Shows How He Visited 8 Casinos In 3 S..